Length 30 feet, Width 7 feet 11¾ inches. With 30 MF2Bs already in service, the Council decided to order another 10 for delivery in 1961. All had Weymann bodies based on the company's "Aurora" design. At the beginning of July 1961 nine of the new MF2B chassis had been delivered to Weymann's when a fire in the trimming shop caused extensive damage to the premises and three of the chassis, which were returned to Sunbeam for repair. One (which would have been 299) was considered a write-off. The depleted batch was numbered 295 - 303. They were registered 295 LJ - 303 LJ and were the only trolleybuses in Great Britain (rather than the UK) to carry "reversed" registrations. 301 was the last to be delivered, on 12 October 1962, and on 1 November was the last new trolleybus to enter service in the UK. A few months after these trolleybuses entered service a new manager recommended that the trolleybus system be run down and eventually closed. 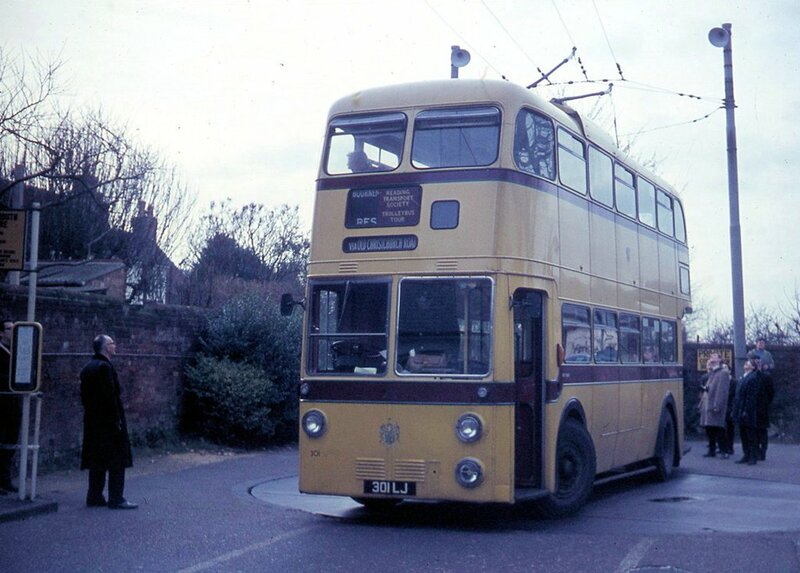 The Council accepted his report and it was expected that trolleybuses would run for another 10 - 15 years, but in fact closure came on 20 April 1969, with 301 being the final trolleybus to operate. 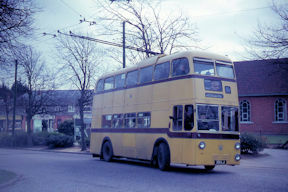 The Bournemouth Passenger Transport Association purchased 301 for preservation in July 1969 and later also bought sister vehicle 297. The BPTA sold 301 to the British Trolleybus Society for a nominal sum in June 2016 to ensure that the vehicle has a secure future. 301 was transferred to the Trolleybus Museum at Sandtoft at the end of October 2018 and has therefore been reunited with 297.